Computeractive is a magazine about computers! Now having got that out of the way, would you like to know what makes this magazine so special and popular among its readers? 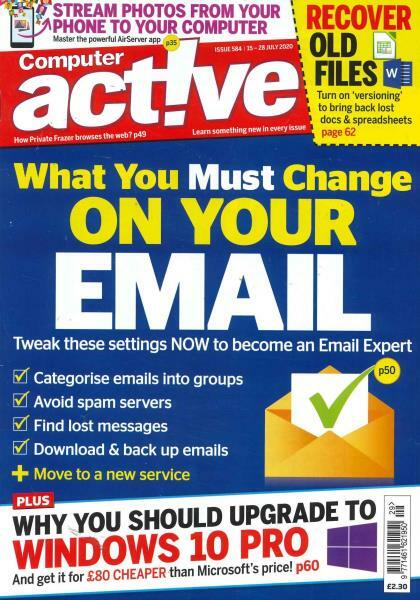 Buy a single copy or subscription to Computeractive magazine. Simple, it keeps the content easy to follow, the designs interactive and the panelists and contributors are experts in their fields. Brought out every fortnight, this magazine is wonderfully packed with all the latest news that you need being the computer crazy person you are. This magazine is not just great for all the fans but even those that do not know too much about computers but would love to find out. There are product reviews regarding different software products, there are all the latest updates regarding internet and online products and services. Those that do not keep in touch regularly with computers would find this magazine an absolute god-send. We are not Britain’s top magazine for nothing. We take our job very seriously and only believe in bringing the best to your homes. Our magazine, being a fortnightly publication is thus continuously updated and made in order to suit your purposes very well. The group tests we conduct are greatly in demand and our magazine has been judged favorably for content, layout, presentation and editing.